I went, as I often do, to a thrift store recently to find some materials. I did come out of there with a few books and old comic books, but something else as well. Somehow I just couldn't leave this in the shop.. It's a vintage bingo set. 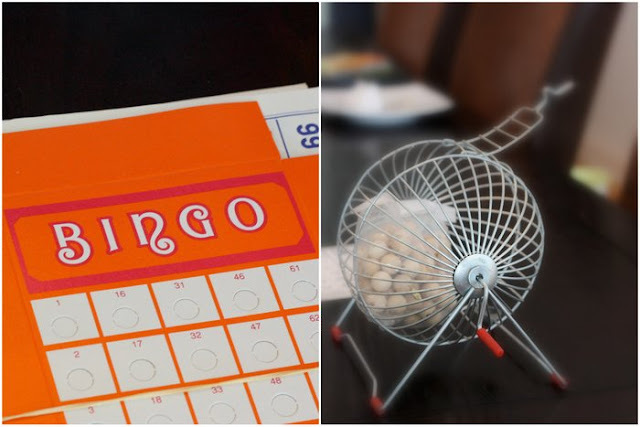 And not just any bingo set, a Professional bingo set! It is relatively small, so I should be able to find a place for it, not quite sure where yet. The great thing about this was that the box was still completely sealed, which means it hadn't been opened before. This, then, means that all the pieces are there and the paper and cardboard pieces are in good condition and unused as well. The set has 36 bingo cards and an awesome orange "masterboard". I think I'll keep some of the bingo cards myself, but put a few up for sale over at the materials shop. I don't know where the bingo machine will end up at, but I'm sure it'll look pretty cool. Maybe I should even try a round of bingo before breaking up the set. So, have you found a good deal/something weird/anything you want to tell me about?